Description Out of focus. 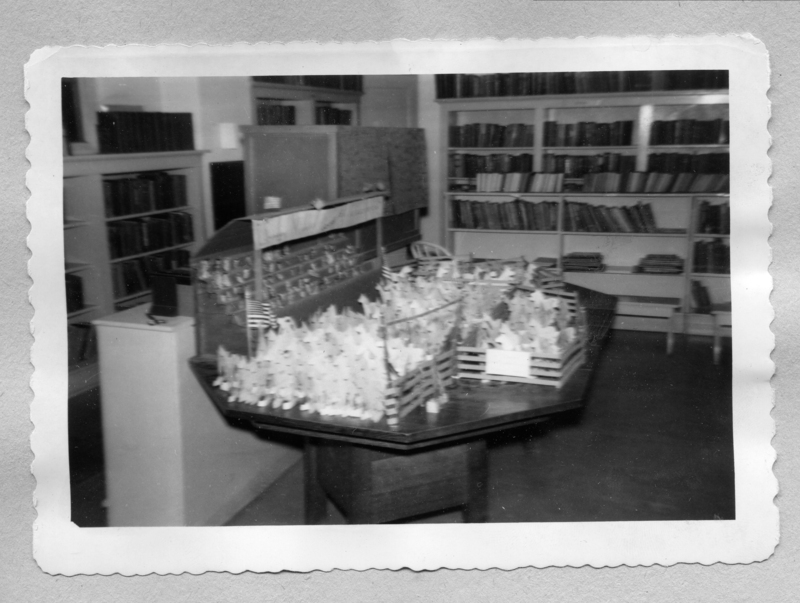 Mounted in Library Scrapbook 1955-1956. Library in City Hall. Children's library reading program. [sign] Library Nite, Aug. 15, Lake Oswego Kid's Club.